The new BMW 7 Series Saloon delivers a new level of driving satisfaction. Imagined, designed and crafted for the individuals who drive the world and value every moment. Take a breath and discover an experience of pure driving pleasure. THE NEW BMW 7 SERIES SALOON IN MORE DETAIL. 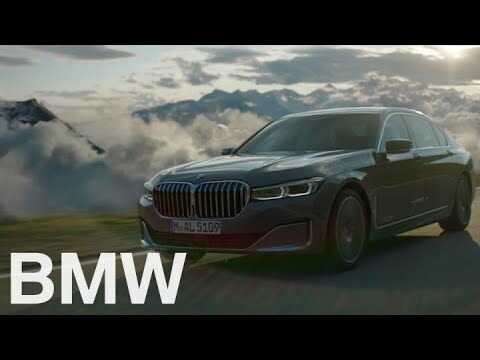 ​The new BMW 7 takes to the road with a strikingly bold and modern design. This latest generation of the 7 Series continues the new chapter in the history of BMW Design language, creating a confident statement. Lead from the front with the characteristically larger, connected kidney grill which is finished in chrome. These newly designed grilles are 50% larger than their predecessors and sit perfectly with the redesigned front bumper and elevate bonnet. To complement the models new strong features, the BMW Adaptive LED Lights now come as standard. Light your way using BMW sophisticated lighting technology with full selective beam distribution and cornering lights, allowing you optimised illumination without starling oncoming traffic. The new 7 Series design is all about emphasising luxury and power, shown through the stunning array of key features. The 'colossal sculpted freeform' exhaust tailpipes give as nod to the car's powerful performance, waiting to be experienced. As a first in BMW design, a thin strip light has been added, running along beneath the chrome band stretching across the rear of the car. This seamlessly connects the taillights, creating a modern and recognisably, distinctive appearance. The 7 has the elongated look due to the stunning coupé like roofline which, despite its size and dominating presence, gives the new model an elegant feel.